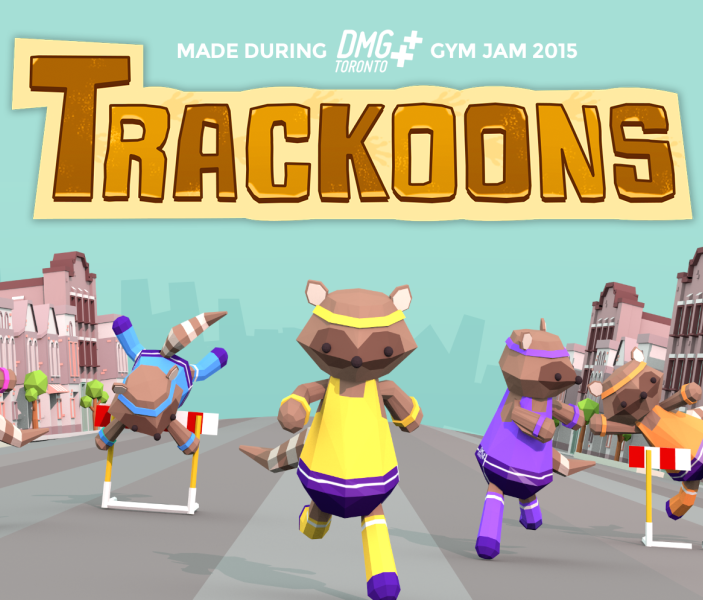 “Trackoons is an 8-person local multiplayer game for PC/Mac/Linux, where you play as raccoons facing off in a race in downtown Toronto. Trackoons is an uncooperative game which requires you to be ruthless and toss your fellow raccoon friends into obstacles. In real life, Trackoons uses a custom-built 8-person joystick rig, where the joysticks are positioned in such a way that all 8 players must squish in — physically screwing over their friends while simultaneously screwing them over in the virtual realm.